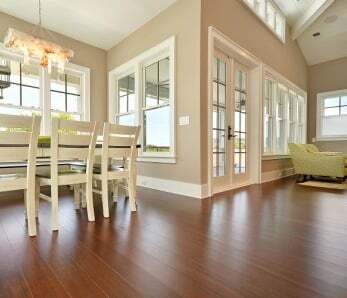 Among the most challenging locations for bamboo flooring are rooms that are positioned over crawl spaces or garages. Installing bamboo flooring in these areas is particularly difficult because failure to adequately shield from moisture can damage the floor. 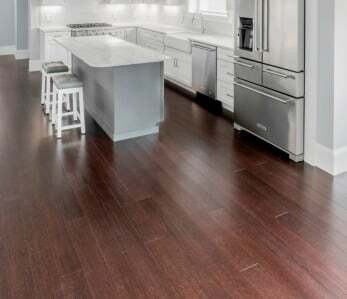 Below is a closer look at some key points related to the installation of bamboo flooring above garages or crawl spaces. 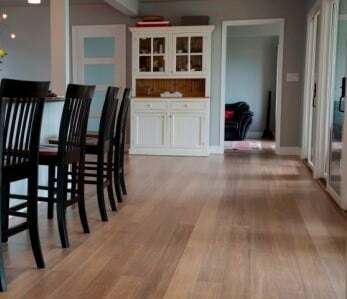 Bamboo (and hardwood) floors can be installed above crawl spaces and garages. Proper venting, insulation, and humidity control are essential to addressing moisture. You can glue down, nail down or float over a crawl space, as long as the crawl space ground moisture is properly sealed and the crawl space humidity does not penetrate the sub-floor. Gluing down the flooring with an is the recommended installation method as the vapor barrier glue adds another layer of protection. Precautions must be taken if nailing down over such a space as asphalt saturated felt paper only inhibits moisture, it does not stop it. The crawl space humidity must be addressed and sealed off. Why Do Hardwood Floors Above Crawl Spaces Fail? 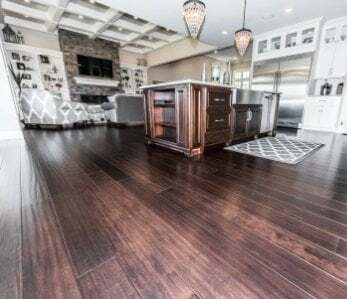 While the thought of these potential pitfalls is certainly unsettling, the good news is that these problems can be avoided by following a series of preventive measures before installing bamboo flooring above a crawl space. 1) Crawl spaces should be a minimum of 18″ from the ground to the joists. 2) Install a ground layer of polyethylene film. Your ground layer should consist of a minimum 6 mm thick sheet of black polyethylene film. Joints should overlap at least 6 inches. Use moisture resistant tape to seal all seams. The polyethelene should also go up the walls about 8 inches. 3) Ensure there is open perimeter venting or mechanical venting. If you don’t have open perimeter venting equal to a minimum of .5 sq ft per 100 sq ft of crawl space sq ft, you’ll want to install a continuously operated mechanical exhaust to control elevated humidity and temperature conditions. 4) Ensure that all water lines and pipes are wrapped with insulating material. Water lines can emit moisture and condensation which can also rise up through the subfloor and cup wood floors. 1) Staple a 6mm plastic sheet to the ceiling of your garage and seal the staple holes with waterproof tape. Make sure the plastic sheet edges overlap each other at least 6 inches. 2) Coat the sealing with moisture-resistant paint. If you are working in a finished area, be sure to coat the ceiling with a double layer of high-gloss paint. 3) For a glue down installation, use an . Make sure you use the correct trowel that pairs with the adhesive, or your spread rate may result in failure to seal the concrete. 4) For a nail down installation, place 2 layers of 15 lb. asphalt saturated paper over the subfloor, perpendicular to each other. 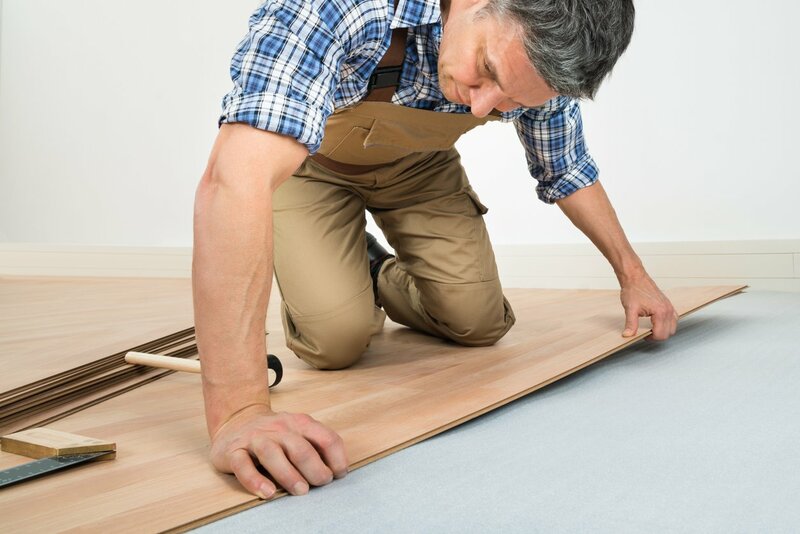 Lay the first roll of felt paper and then a second roll on top of it at a 90 degree angle, and make sure not to let the rolls overlap as this could lead to an uneven surface and problems with the flooring. 5) Begin installing your bamboo floors. Make sure you have plenty of planks (an extra 10% is recommended) and the required tools and cleaning supplies prior to beginning the installation process. 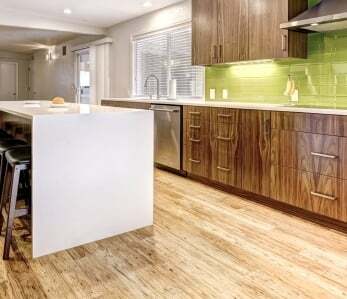 ‹ My Bamboo Flooring is Making Squeaky Noises. What’s the Fix?